Those noteworthy industries are just the tip of the iceberg. High, specific energy, long storage times and instant readiness give primary batteries a unique advantage over other power sources. Even after long storage, primary batteries can be used instantly in remote locations where charging is impossible. From night vision goggles and radios to pacemakers and defibrillators, primary battery applications require a design and materials that maximize its reliability and lifespan. Advanced engineers looking to improve the performance of their primary batteries are increasingly exploring alternative manufacturing methods that produce thinner and lighter anode and cathode electrodes. Many of those engineers are turning to precision expanded metal foils. 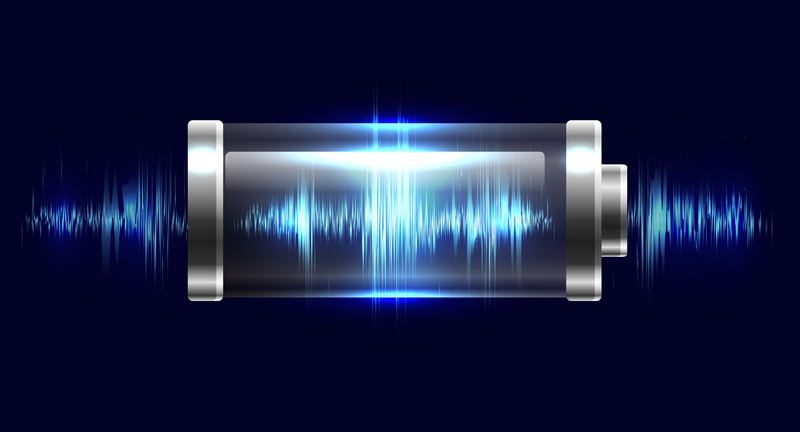 Want to stay up to date on the latest advanced battery design news and trends? Get updates from our blog right in your inbox! How does this innovation compare to the historical use of woven wire mesh and solid foils? While solid foils are typically used in secondary lithium-ion batteries, they are not ideal for primary battery designs. Most primary batteries use an electrolyte (electrically active material) powder or doughy material. To hold it in place during manufacturing, you need a mechanical support structure that doubles as a current collector and provides the electrical connection point for the external circuit. You also need something that will allow active materials to flow through the openings to both sides of the active material and create a bond around the electrode material. Unfortunately, solid foils are not good partners for active materials and their bonds. Woven wire mesh has been used as an alternative, but it’s proven unreliable because there is a risk it will unravel, have poor conductivity, and cause high impedance. Compared to solid foils, expanded metal mesh provides greater surface area per unit weight of a battery’s metal. When metal is expanded, you create a diamond-shaped opening. After expansion, a unique secondary process can be performed which provides a controlled "pull" on the material. This enhances the 3D geometry and makes the opening more symmetrical, creating a deeper pocket that holds more active material. With approximately 50% open area, the mesh foil provides a granular bond across the open area to add strength to the bond between your active materials and the expanded electrode surface. The additional strength of the bond to the expanded foil also protects against delamination and extends the cycle life of your battery. Another benefit of an increased surface area is a greater ion transport rate. The honeycomb shape created by expanding metal foils yields a structure with higher walls and overall thickness, also deepening the pocket for active material. This allows you to manufacture thicker cathodes and increase the capacity and conductivity of your battery. At Dexmet, we’ve developed machines that can expand aluminum and copper foils down to 25 microns (.001"). Battery developers have taken advantage of the opportunity to create advanced battery designs with MicroGrid – our open area materials. Capacity fade is a primary cause of reduced battery performance. In traditional, solid foil cell design, each layer functions relatively independent of the other layers of the cell. Any cell degradation in a specific cell layer can draw down the capacity of the entire cell. The porous nature of MicroGrid allows the active ions and electrolyte materials to migrate throughout the entire cell to minimize the extent of degradation. MicroGrid allows for optimal adhesion between the activated electrode material and the current collector. It functions as the current collector that your electrode material sticks to. With added strength across the foils bonds, the volume of binder dedicated to bonding to the foil surface may be reduced, adding capacity to the electrode. Dexmet is the only expanded metal foil manufacturer in the world that is able to apply special coatings to the metal after it has been expanded. Adding a graphite or other special coating can further improve the adhesion of mesh, lowering impedance in the cell and improving your battery’s conductivity. As primary battery developers modernize their designs with expanded metal foils, they will advance their final product and achieve utmost reliability. And with the use of primary batteries in life-or-death applications, such reliability is an important selling point. Manufacturers that use Dexmet’s MicroGrid expanded foil have been able to significantly increase active material density and electrode adhesion. Determine your needs, and you can obtain expanded metals that are tailored to your specific mechanical and electrical performance parameters. Need help determining the characteristics of your expanded metal foil? Talk to one of our battery experts about electrode selection.